I saw saggy, baggy Hillary Clinton's fat face on TV tonight. She had been calling for Bernie to step out of the race and saying that in 2008 she did and she backed Barack. She was in the race through the start of June. California doesn't even vote until June. No, Bernie should not drop out. Yes, Hillary needs to stop lying. Thursday, May 5, 2016. Chaos and violence continue, more bombs are dropped, does a US military death matter to the US government (not if you're John Kerry), and much more. -- Near Baghdadi, a strike destroyed an ISIL vehicle bomb. -- Near Beiji, a strike destroyed two ISIL tunnel entrances. -- Near Fallujah, six strikes struck three separate ISIL tactical units and destroyed four ISIL fighting positions, an ISIL heavy machine gun, an ISIL anti-aircraft artillery system, three ISIL tunnel entrances, an ISIL mortar system, an ISIL vehicle bomb, an ISIL weapons cache, and four ISIL bed down locations. --Near Kisik, a strike struck a large ISIL tactical unit and destroyed two ISIL fighting positions, two ISIL heavy machine guns, three ISIL mortar positions, and four ISIL assembly areas. -- Near Mosul, two strikes destroyed two ISIL fighting positions, one heavy machine gun, 10 ISIL mortar systems, three ISIL rocket rails, and suppressed an ISIL heavy machine gun position. -- Near Sultan Abdallah, three strikes struck an ISIL tactical unit and destroyed an ISIL fighting position, an ISIL heavy machine gun, an ISIL mortar system, an ISIL vehicle, and suppressed an ISIL heavy machine gun position and an ISIL mortar position. -- Near Tal Afar, one strike struck an ISIL weapons facility. The bombs keep getting dropped, the war keeps dragging on. The latest wave of bombings began in August of 2014 and have continued daily. They've not 'won' any war, have they? What if all that energy had been spent -- or even half of it -- working towards a diplomatic solution? Two years focusing on diplomacy? Two years easing Prime Minister Haider al-Abadi towards national reconciliation in Iraq? Tying in weapons shipments to concrete achievements towards national reconciliation? That could have had an impact. It could have destroyed any justification for the Islamic State being in Iraq. They get their support as a response to the persecution of Sunnis in Iraq. National reconciliation is not a new goal of the US government. When Congress demanded Bully Boy Bush provide measurements for measuring "success" in Iraq (the White House benchmarks), national reconciliation was on that short list. But nearly a decade later and there's been no national reconciliation. Failure to achieve that was supposed to result in the US government cutting off aid to Iraq -- financial and military. Maybe members of Congress could explain why? The report on the benchmarks was mandated by Congress this year as a condition for continuing to fund military operations in Iraq. But the specific measures, including legislative goals for the Iraqi parliament, were first outlined last year by the Iraqi government and embraced by Bush in January. Between July and September, the Iraqi government showed significant improvement on one benchmark: legislation to address the status of those who had belonged to Saddam Hussein's ruling Baath Party. In late August, the leaders of Iraq's five main political groups agreed on draft legislation, which the administration considered adequate to move the issue to the "satisfactory progress" category in the report. However, the deal still must be adopted by the Iraqi parliament, and its fate remains uncertain. In a conference call with reporters, Sen. Joseph R. Biden Jr. (D-Del. ), chairman of the Senate Foreign Relations Committee and a presidential candidate, said that after months of anticipation, the benchmark report was disappointing. "You don't even have to go to the benchmarks to realize what an abject failure this policy has been," Biden said. Joe Biden was right in 2007 but those words also can be applied to the current White House policy. And that draft legislation on the Ba'ath Party? Nine years later and it's still not passed. So maybe the US Congress want to explain why the measurements were never applied as they were supposed to be? Or why the Iraq War continues to be funded? Ms Sky says that some Iraqis are reminded of the last days of the monarchy in 1958 when another elite refused to reform, and was overthrown. Mr Sadr has fomented insurrection. “I’m waiting for the great popular uprising and the great revolution to stop the march of corrupted officials,” he has said. More protests are set for May 6th. But the Sadrists may not actually want to topple the government. “They have used their anti-establishment appeal to strengthen their position in the establishment,” says Maria Fantappie of the International Crisis Group, a think-tank. Meanwhile, the Iraqi government is not rescuing Iraq, no matter how many puppets the US government installs as prime minister. The dropping of bombs is not challenging the Islamic State or the roots of its support. All we have is death and dying. 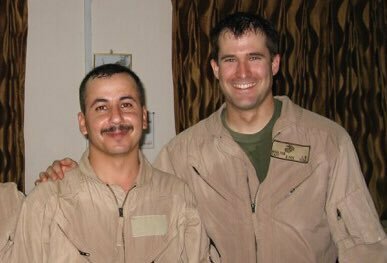 Yesterday I lost my closest friend in the Iraqi Army to ISIS and our failed policy in Iraq. And, Tuesday, US Navy SEAL Charles Keating IV was killed in Iraq. Wednesday, US Col Steve Warren hosted a tele-conference from Baghdad. COLONEL STEVE WARREN: Thank you, Jeff. It's always good to be here with everyone. I'm sure everyone has questions about yesterday's incident, and so that's what I will begin with. It was a bad day for us here yesterday. On Tuesday, an American advise and assist team was in the village of Tal Asquf, meeting with a Peshmerga unit. Tal Asquf sits approximately three and a half kilometers behind the forward line of troops. At approximately 0730, ISIL forces breached the Peshmerga forward lines. At 0750, the Americans there became involved in the ensuing firefight and called a quick reaction force. A U.S. service member was killed. The service member was part of the quick reaction force who responded. At 0932, he was struck by direct fire, and although he was medevaced within the all important golden hour, his wound was not survivable. No other coalition or American forces were injured, though both medevac helicopters were damaged by small arms fire. There were Peshmerga causalities but I do not have numbers on those to release. Coalition air responded with 31 strikes taken by 11 manned aircraft and two drones. Air power destroyed 20 enemy vehicles, two truck bombs, three mortar systems, one bulldozer, 58 ISIL terrorists were killed. The Peshmerga have regained control of Tal Asquf. And our deepest heartfelt condolences go out to that American service member and his family. He is an American hero. This is a reminder of the risk our men and women face every day supporting the fight against ISIL. The fallen is Arizona's Charlie Keating IV -- C.I. includes some information about him in the snapshot at the end of my post. Charlie sounds like a solid guy. Reading about him made me cry. And I can't believe thirteen years after the start of the Iraq War, I'm still crying about US troops dying in Iraq. Two different administrations -- one Republican, one Democrat -- have continued this awful war. And there's still no end in sight. Bernie Sanders defeated Hillary in the state of Indiana. That primary victory maybe says a lot of us are tired of this never-ending war. Hillary is a War Hawk. With her president, I don't see the Iraq War ending. He died despite Barack 'ending' the Iraq War. But Barack didn't and hasn't ended the Iraq War. And I really don't have patience for the child-like fools who have spent 8 years defending their 'boo' in the White House. The world is worse off. And Barack didn't end the Iraq War. In fact, the way things are going, he may have just kept it going to hand it over to War Hawk Hillary. The Iraq War should have ended long ago (shouldn't have even started). Whores like Jane Fonda showed up like rallies pretending to care. But they only cared about spitting on Bully Boy Bush. Once it became Barack's war, the didn't object once. Before I moved to Hawaii, I lived in Boston. So I grew up with John Kerry as some sort of local hero. Today, he's nothing but an embarrassment. Now he's the gung-ho pro-war Secretary of State. Someone should ask him how do you ask a woman or man to be the last one to die for a mistake? Charlie Keating IV is the name of the Navy Seal who was killed in Iraq on Tuesday. He shouldn't have been there, Barack shouldn't have sent him there. The Iraq War needs to end. Pleased to team again with @ErnestMoniz for 7th U.S.-#EU Energy Council Meeting. Focus on energy security, joint efforts to #ActOnClimate. Cannot overstate importance of US-#EU partnership. Good talk today w/ @FedericaMog, including about immediate need to reaffirm CoH in Syria. Proud to host U.S.-Caribbean-Central American #EnergySummit at @StateDept. Viable and clean energy initiatives vital to region & to world. Pleased to speak at @ASCOA’s #2016WCA to reflect on transformation taking place in the Americas. As a US veteran, he kind of should have Tweeted about it. As someone who endlessly calls for more foreign troops in Iraq, he was kind of obligated to Tweet about it. As someone whose salary has been paid by US tax payers pretty much his entire adult life, he should have Tweeted about it. As a member of the administration, he should have Tweeted about it. Anyway, you look at it, he should have Tweeted about it. Except maybe as an aging elderly person addicted to trying to look physically younger. Did someone say Jane Fonda? Oh, let's be fair to Jane too. The 'antiwar' activist who is now supporting War Hawk Hillary Clinton. I'm really here because I want to thank you all. I want to thank you from the bottom of my heart for being here today. So many of you, so many of today's speakers, including my fellow actors up here, were here at the beginning, before we went into Iraq, because you knew and they knew what was in store. Thank you so much for the courage to stand up against this mean-spirited, vengeful administration. Your actions are proof that the most precious part of this country, its soul, is alive and well. So thank you. Your ongoing commitment to ending this war allows people in other parts of the world to remain hopeful that America has the stuff to become again a country that they can love and respect. Thank you. I especially want to thank and acknowledge the servicemen and women and the military families and Gold Star mothers that are here. A lot of press people have been asking me today, "What's the difference between now and during the Vietnam War?" And I'll tell you one huge crucial difference: It took six years for Vietnam veterans, active-duty servicemen, Gold Star mothers and military families to come out against the war. It has happened now within three years of the war. Their presence here is critical, and we should acknowledge their courage. I haven't spoken at an antiwar rally in 34 years, because I've been afraid that because of the lies that have been and continue to be spread about me and that war, that they would be used to hurt this new antiwar movement, but silence is no longer an option. My daughter, who is here with me today -- come here -- she was a little girl when she would come with me to the anti-Vietnam War protests. She's here today with her two little children, my grandchildren. I'm very proud that they're here, but I'm so sad that we still have to do this; that we did not learn the lessons from the Vietnam War; that we've made the same mistakes, blindness to the realities on the ground, hubris and arrogance in dealing with a people and culture far older than we are; and that we understand so little, carelessness and thoughtlessness in our approach to rebuilding a country we've destroyed, allowing billions of dollars to be stolen, squandered at the hands of private contractors, just as this administration has done in our own gulf in the post-Katrina era. So, thank you. Thank you for being here, and we'll continue to be here for as long as necessary. God bless. That's the 'activist' Jane Fonda. "We'll continue to be here for as long as necessary"? Turns out, it's no longer necessary -- at least not to 'activist' Jane. This Friday at 12AM! 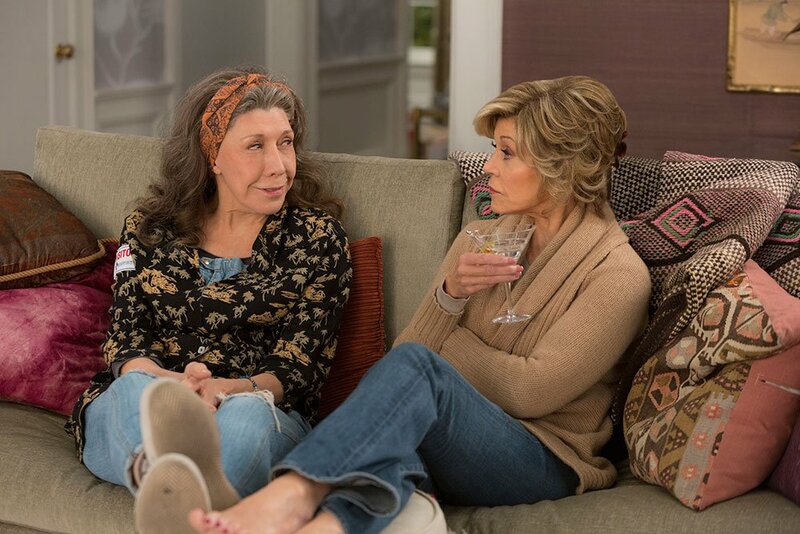 @GraceAndFrankie Season 2, I’ll drink to that! 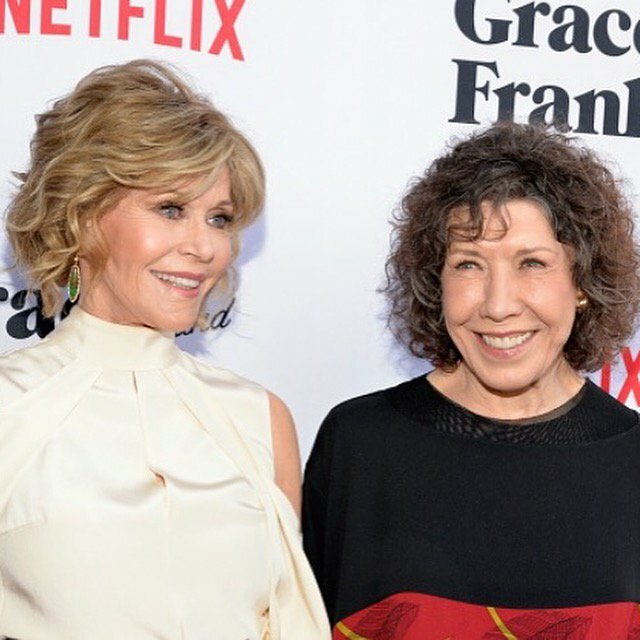 At the premiere of @GraceAndFrankie Season 2 which starts streaming at midnight on this Thursday-- in 2 days! Unless, of course, she's too busy Tweeting about the earth shattering GRACE & FRANKIE or her guest spot on ELLEN. As long as necessary -- or maybe just until she's busy with other things. Thanks, Jane, thanks for that strong activism. Karma may just be . 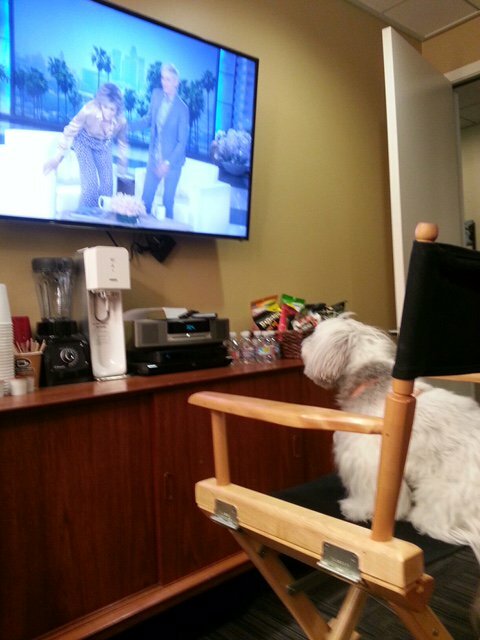 . . your co-star Lily Tomlin getting nominated for an Emmy and not you. Those of us opposed to the Iraq War remain opposed. Those who just postured to use it against Bully Boy Bush? They gave up the pretense of caring the moment Barack was first sworn in as president in January 2009. Their lazy asses go a long way towards explaining why the Iraq War continues and why Keating died today. Petty Officer First Class Keating was killed while coming to the aid of Americans troops under fire after Islamic State fighters breached Peshmerga lines. His death brings to three the total number of US troop losses since the country reentered Iraq after its 2011 departure. US forces will see more battles in the months to come, and top Pentagon officials have said there will likely be more troops on their way to Iraq later this year. The plan going forward is for US forces to train smaller units that are more likely to be doing the fighting, rather than advising military headquarters, as they had been doing before. While the White House has insisted for months that US forces have a training mission and "are not in a combat role” in Iraq, the language used by Pentagon officials seems designed to brace the public for more casualties. “He was in a firefight, and he died in combat. I want to be very, very clear about that,” Carter said of Keating. Q: Colonel Warren, just two things. Can you just describe what the ISIS fighters were operating in? Were they operating in trucks or bulldozers? How did they approach this village and mount and maneuver in this attack? And the second question, just on the QRF -- I'm assuming this is an all American QRF that came in? If that's not the case, please correct me? And can you tell us how often QRFs like that are called into respond to situations? Is this the first time that's happened in months or is that a relatively routine thing for the guys up north? COL. WARREN: It's all American and it's the first time it's happened in months. On how the enemy moved in this case, so they move in these type of vehicles that we refer to as technicals, which is kind of an all encompassing term for you know, homemade gun trucks, right. They throw together these -- I don't know -- kind of Jed Clampit, they will bolt a machine gun onto the hood of a pick up truck, or a gremlin, or whatever. You know, it's whatever they can find with four wheels and an engine, they will bolt some armored plates on the side if they can find them. You know, they'll rig this thing up to be some sort of troop carrying vehicle, and whether or not it's only two or three people that can fit into it, or if it's a larger type of pick up truck, they can fit more in there. So there's no standardization here. This is a non-standard military force that we're facing. So it's a little bit of everything. So that we use the word technicals, we've destroyed 20 of them. The bulldozer they like to use in several ways. Like I said earlier, the flot that we talked about, this forward line, is simply a checkpoint on the road is the main thing. So they will use the bulldozer, they will often use a truck bomb, plow it into the checkpoint, detonate it, kill the personnel there, and then they'll have to use the bulldozer to push the wreckage out of the way. Not clear on whether or not that's exactly how they did it this time. I don't think they did, it seems like they punched through just with the bulldozer, and detonated their one truck bomb that they got off a little bit further up the road and we destroyed the other two truck bombs from the air. So -- but that's how they move around is in this kind of ad hoc series of bolted together homemade trucks and cars and -- et cetera. On Wednesday's THE NEWSHOUR (PBS), Hari Sreenivasan discussed Keating's death in Iraq and Iraq's political issues with THE WASHINGTON POST's Loveday Morris.